Today is the 50th anniversary of “Star Trek,” a show which quickly became a cultural touchstone after it premiered in 1966. In many ways, the final frontier that the Gene Roddenberry-created series crossed was a cultural one. Many episodes seemed more about challenging societal norms and asking uncomfortable questions than exploring deep space. We’re taking a look back at some of the more controversial episodes of the show and “I can’t believe that was on TV!” moments. 1. “Star Trek” featured the first interracial kiss on TV. In the 1968 episode “Plato’s Stepchildren,” Uhura (Nichelle Nichols) and Captain Kirk (William Shatner) share a kiss — widely accepted to be the first on American TV — between two characters of different races. Nichols talked in detail about filming the scene and the uproar it caused at NBC in a 2010 interview. 2. 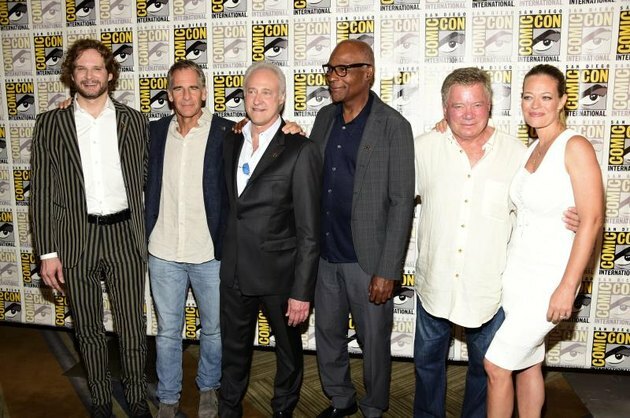 “Star Trek” put LGBT issues at the forefront. 3. The show addressed issues of morality and technology. Do we have the right to terminate life we create? In “Evolution” (1989), “Star Trek: The Next Generation” explores sentient artificial intelligence and how to correct mistakes that we make in technology. Check out a very young Wil Wheaton in a clip from this episode. 4. 1967’s “The Deadly Years” explores aging. The episode looks into whether it’s appropriate to remove someone from power due to their age. In the episode, a disease that rapidly ages people runs rampant. Is aging enough to justify ending your life? In “Half a Life” (1991), the crew encounters a civilization of people who commit a suicide ritual when they reach 60, placing a high value on not burdening society with the elderly. 6. “Star Trek” predicted video game addiction. In “The Game” (1991), Wesley Crusher finds the Enterprise crew obsessed with an ahead-of-its-time augmented-reality game. These are just a few examples of how “Star Trek” broke barriers and brought up issues that we’re only years later confronting in politics and society in a very public way. What are your favorite “Star Trek” episodes? Share in the comments below!